As a practical approach in creating some form of ritual or ceremony, consider how you could incorporate the use of astrological symbols. This may be useful in the process of planning "how" or "what" to anchor as you move forward in your life. The following twelve topics, described below, are twelve generalized astrological ideas or signatures. These are not as specific as a consultation with an astrologer would be, but they may provide you with a general direction or theme. Read the following twelve topics and ask yourself which of the following astrological signatures do I most resonate with? These are purely symbolic and written as "poetic archetypes." Each signature contains one of twelve different orientations to personal and community/collective power. They clearly shows how differently each of us may be feeling and how we are responding to the energies of the Lunar Eclipse. Which ones do you most resonate with? There might be more than one! Capricorn is the song of the Divine Incarnation. The divine, descending from that which stands triumphant. The mountains rise, level after majestic level. Standing as Himalayan intensities. Just as the majestic monuments stands supreme, so the descent of spiritual Truth stands as a monument of "what is." The Truth, standing as a testament of its "own" Truth, and of its Self. The great Himalayan mountains stand as a universal form of Might and Truth. What was once only envisioned, now stands triumphant, as a Divine Being of Truth and Power. The majestic has taken earthly form in its highest and most noble appearance. Truth from the highest realm takes on newer and larger significance when Mount Everest is encountered for the first time. The sheer magnificence and overwhelming majesty of a face-to-face encounter speaks to the relationship of truth and of power as it stands, triumphant. And so — we meditate as a testament of our own Truth and Power. Matter and anti-matter collide and a star is born. Electric waters flow through space with Uranian glee. Individuals stand as lightning rods ready for activation, accelerated toward a better future. The Aquarian spirit towers over the slowly breathing masses. The "quickening" of the power behind the lightning, provides the vision of tomorrow's world. Sheets of lightning roll through turbulent minds as the fervor of self-renewal energizes all it touches. The ecstasy of freedom shimmers in response to the voltage coursing though it. Fully energized, the subservience to an obsolete past has vanished before our very Aquarian eyes. The ocean of inexhaustible potential flows in with the tide, and flows back out to its source. Forever reborn, forever the promise of tomorrow. The past flows into the future just as the wave shyly draws away from the kiss of tomorrow. But in that magic moment, that split second of equilibrium, when the tide rushes in, when the tide pauses and waits in utter silence, before changing direction and returning to the sea, this is the Grail. This is the eternal moment, the Holy Grail, where the past and future merge and universal potential is active and powerful. So beautiful the dream of unconceived tomorrows, so freeing from a past that was full of uncertain outcome. The Piscean song is a song of hope, a paean of translucent faith focused in the power of a second chance. The mind opens to the deepest meaning of love and rejoices in what will be reborn. Dark moist soil, full of seed, is kissed by the Light of compassion. The seed is vitalized, awakened from its slumber, as the universal touches the particular. The Aries fire of passion surges upward to meet its source. The rhythms of life are now active and moving as the organic power of the living. The mystical union of spirit and matter have awakened the Soul to a new and vitalizing future. The ghosts of unfulfilled yesterdays are awakened, along with courage and strength, which are now passionately empowered. The mind relentlessly rams against the rhythmic urges of life as the Self fights to be more-than-human. "I am, and I will!" is passionately cried out. The passionate power of life and the power of the Self have been awakened. The future has been kissed. The sexual dance, and the ecstasy of losing oneself in the moment calls forth. It's time to celebrate! Life is abundant, and rich in fulfillment. Venusian Love sings of wholeness. The moment has overcome the past! Let us rejoice, the future is rich and full. The Buddha has renounced the illusory Nirvana, and has bound himself to the cyclic future of all humanity. The power of celebration has bound itself to humanity; rejoice, the inertia of yesterday has been overcome. It's time to celebrate! The great potential of the moment is pregnant with the future. The great cycles of time guarantees the future is coming, for we celebrate the future in the moment. To "choose our celebration;" — that is real power. The Great Taurian Power has been released. The choice has been made. The future is chosen. Rejoice and Celebrate! The Gemini Twins, two, standing side by side, two columns, two pillars on fire. Two burning pillars shining their cosmic light and bring to light the great Cosmic Vision. What was thought of as empty space has now come to light. The culturally-bound mind struggles to see. "Burn, burn brighter," the mind cries out, straining to see what has been illumined by the Creative Spirit. At last, the mind discovers the power of the galactic center from which to receive inexhaustible inspiration. Consciousness rises in spirallic ecstasy. Transcending crystallized forms, the higher-mind travels, now by choice, now to realms. Vaster realms, in which to participate in the birth of ever more inclusive ideas. New ideas and inspired change are always challenged by the dynamics of nature's rhythm. The mind sees itself reflected in nature's rhythm, and "by that reflection" is imprisoned. The nature of life is "more." Produce more, and produce even more. More and more, more of this, more of that, and more life. Never ceasing, until the oceans overflow with fish. Produce more, build more, and do it with more productivity. Nature's next cycle of depletion, has now becomes the planetary Guru and Teacher. Abundance and depletion are now seen as polarizing reflections. A reflection and revelation of the "Great Peace." The mind bows in calmness as it sees a dynamism so intense, its rhythms so perfect, that through puzzled eyes it all blends into a never ending cycle of changelessness. This is Peace. The mind is calm and at rest. For at last, what is seen, is the peace-that-passes-understanding. The Cancerian whispers are finally heard; Peace at Last. The Sun fully expresses itself and shines with its own glory. Self-expression and self-glorification are its trademark. Leo's mastery is seen though the eyes of the student. Can the magician be caught in the glamour of his own magic? The religious leader will resonate to the needs of his followers. Pride is replaced as Simplicity. For simplicity contains the humility of purity and authenticity. Perfection is the Sun's placement as the center of the solar system. Unique, with purity of being, the Sun guides the movement of all that is contained within its boundaries. The Sun knows it’s a Star. Evolving as one of its galactic brothers. The distant rhythms of the galactic center are now singing, the Sun listens, and then gives its light. The Sun is responding though Self-expression which now flows from its greater whole. Moving, looking, searching, the anguish of the quest takes its toll as the search for significance continues. The spiritual traveler is guarded and protected from an escapism into meaninglessness. For there must be sufferings, as footstools to a great peace. There must be failures, to catch a glimpse of the perfected ones. Harshness must be experienced before the subtly of Compassionate Love is identified. Blinded by the light of perfection, we must move on. This is Virgo's finest hour. Moving toward that which transcends all dualities, all existence, even the desire to be. We are the Travelers on the path that leads nowhere, and as nowhere approaches, the Voice of Silence is clearly heard. The purified mind resonates to songs of Infinity. Because the Traveler no longer seeks, the Traveler has becomes the goal. The song of Libra is the song of betrothal. In every moment there is the beloved, to be enjoyed, and caressed. In every moment there is the opportunity to consummate their rhythmic union. Groups and cultures are built out of that union. New forms of communication, and new symbols of oneness are born. Libra's social exclusivism withers away as a realm of authentic acceptance is sustained by the "Communion of Souls." We are companions in the trek of transcendent freedom. All there has been, all there is, and ever will be, the "now" has become the moment of the Divine Beloved. Supreme Compassion is felt in the moment of Eternal Harmony. The chill of Scorpio's autumnal skies, are blown by the passionate winds that tear from the trees and make the soil shudder, and the life-force recoil. The question is asked, "Is this defeat and death, or the beginnings of a rebirth?" In consciousness there is always hope. In unconsciousness there is fear, ready to celebrate death as a liberator from sorrow and self-serving passions. Death or rebirth? This question must be answered to move forward with the intent of the phoenix. The autumn Sun, so low in the sky, low enough to tear away divine sparks, catching wings aflame. Will your wings burn and collapse, or will they become translucent poems chanting to rhythms of Light and the rebirth of the phoenix? The power is in the question. Sagittarius' arrow points to the sky, aimed beyond the earth's gravitational pull of the unconsciousness. Starward, the arrow is launched. Is it powerful enough to pull away from family obligations? Is the pull of culture and society too strong? Is the comfort of social fellowship and institutionalized religion too overpowering? Will the crusade for righteousness and authenticity break away from the pull of the past? The flaming arrow and upward thrust of our mind burns the factories of obsolete knowledge. Liberation at last. Our transcendental status is restored as the crusade for righteousness unites in a galaxy of companionate minds. We are working together, liberated, free for great spiritual adventures. The Sons of God are ready for rebirth. * Astrology Students — You may recognize the 12 signature topics with the use of esoteric symbols from the 12 Zodiac signs. The newest question we are all considering is whether or not our psychic understanding is ready for 13 Zodiac signs? For this article, I'm using the Esoteric Western Zodiac of 12 symbols. Esoteric Astrology in its truest sense I believe should have Numerology as a solid foundation for its metaphysical integration. Based on Numerology of the current astrological configuration under consideration, the Zodiac symbolism is oriented from Capricorn to Sagittarius. It begins with "A meditation on Power" and ends with "The Crusade." 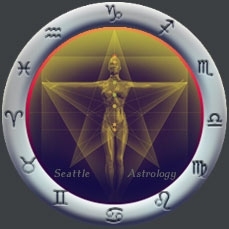 The astrological axis of San Francisco and Seattle share a Capricorn Ascendant. Starting with the Capricorn Ascendant, it stands as a symbol as a community effort based on the correct use of both personal and community Power. The 13th Zodiac Sign — Astrology is a symbolic language based on the mathematical movement of the Celestial heavens. For Esoteric Astrologers, the Zodiac Story is told as a symbol of growth, maturity, and rebirth. It is the story of life on earth as its experienced in the Temperate Zone where we all experience four seasons a year. The Zodiac is experienced as an aura or field, associated with the magnetic field surrounding the Earth. The Zodiac astronomers refer to distance star configurations as constellations. Traditionally they have identified twelve distant constellations. Recently there is controversy about whether to introduce a thirteenth. Regarding the emergence of a possible thirteenth constellation, I do not disagree with Astronomers. I do, however, assert that astronomical constellations assert a different function that they do for Astrologers. They are calculated in entirely different ways for different reasons. From and astrological perspective, astronomers have correctly identified that the Sun is the star that is responsible for the energies that have become activated in the receptive Earth and have come to life. Distance star configurations and constellations do not supply the quality of Light needed to sustain life on Earth. The story of the Zodiac Aura is told by the story of the four seasons, each season lasting only 3 months. The spring equinox symbolizes the beginning of the Western Zodiac — Aries. If the Zodiac Aura was wrong, then the beginning of spring would continually shift and the day would eventually come when spring was arriving on Christmas day. As we all experience it, spring is based on the Earth's relationship with the Sun and the predictable yearly cycle of growth. Until the song of spring fails to arrive at the Sun's appointed time, we can rest assured that the Symbolic Zodiac is correct.